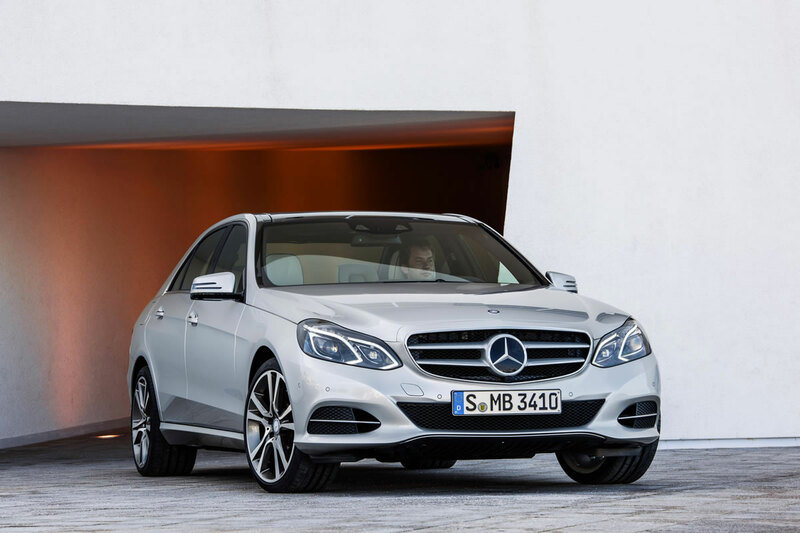 We finaly have a chance for first look of the 2014 Mercedes Benz E-class, before it’s debut at the 2013 Detroit Auto Show in January. 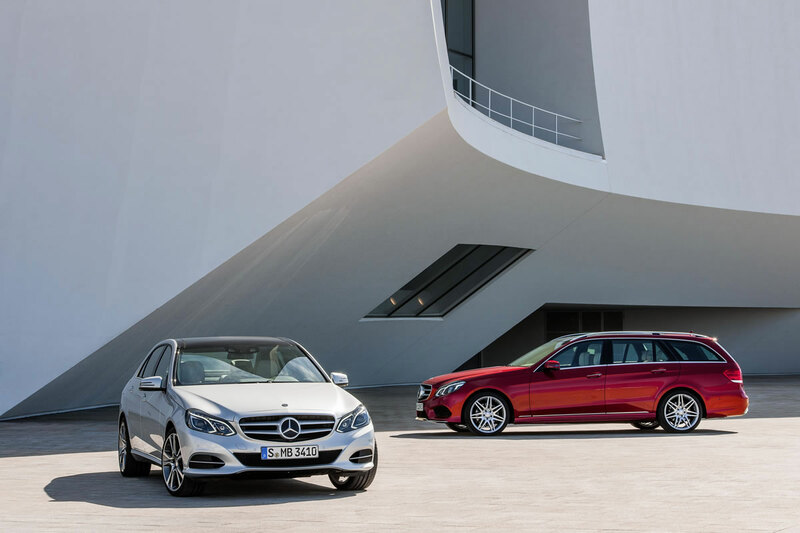 According to German manufacturer, a total of 11 new or optimized assistance systems from the future S-Class will be conveyed on the new E-Class sedan and wagon models. 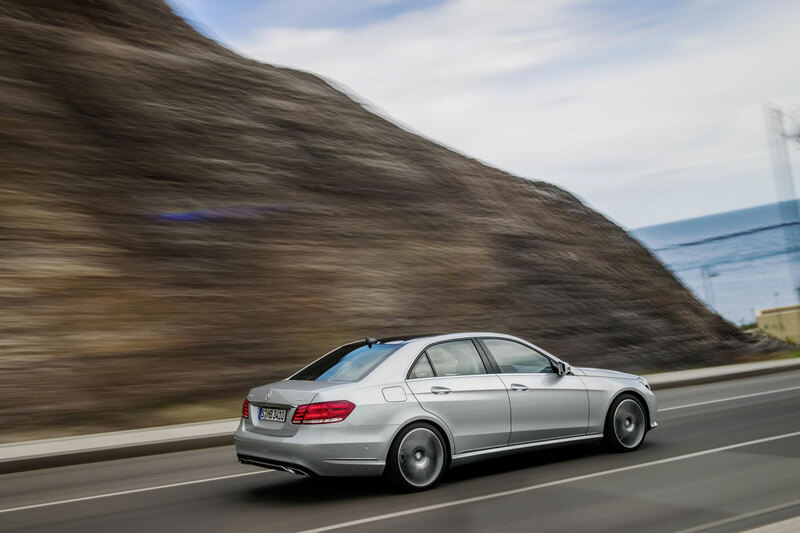 Most changes are made on the front side of the car, while other changes are less noticeable. 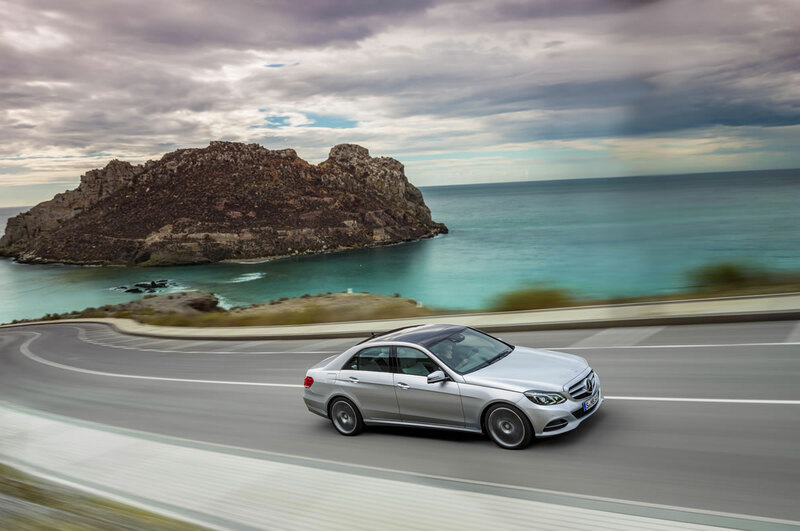 In a move to make the E-Class less conservative and stiff, the lines are now softer and the car has a more windswept look. The previous design of two separate headlight clusters on either side of the grille is gone, replaced by a single, more curvaceous piece housing partial LED lights. 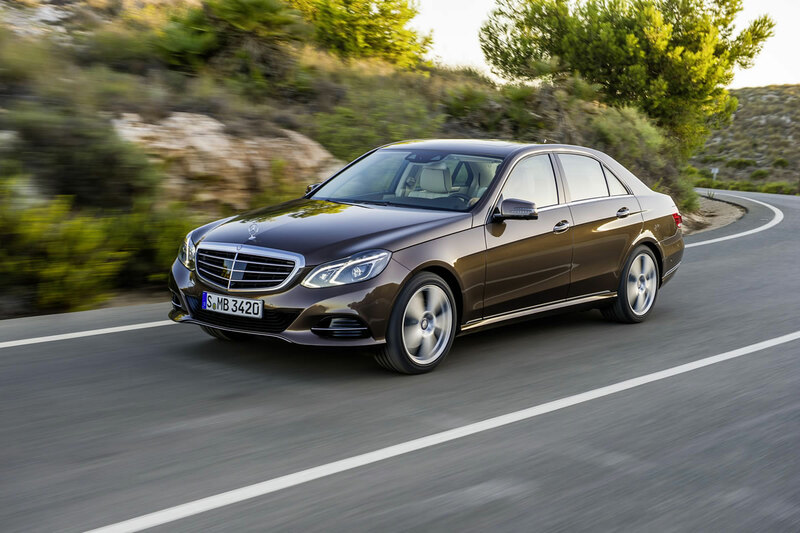 The new E-Class will come with a choice of two grille treatments: the luxury version is a showcase in chrome, the sport version is muted, with a two-bar center section supporting a large Mercedes emblem. 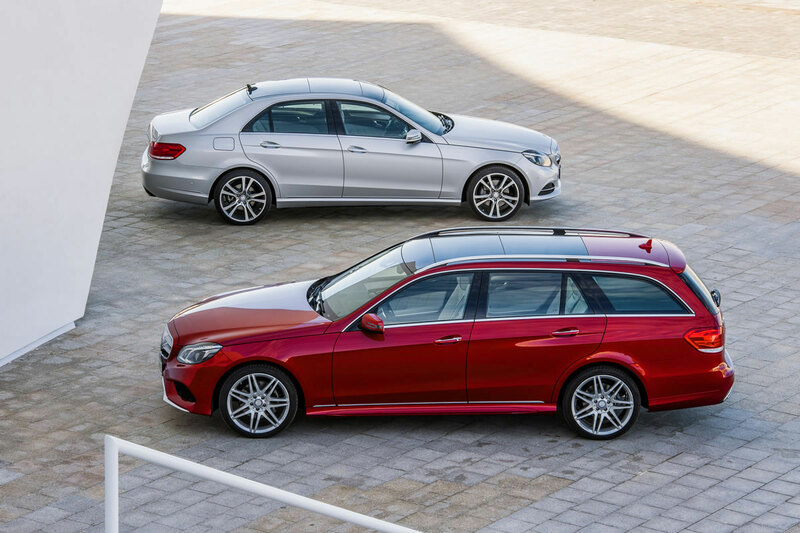 Beneath either one of them, the lower fascia takes on a more aggressive shape with larger twin scoops outboard. 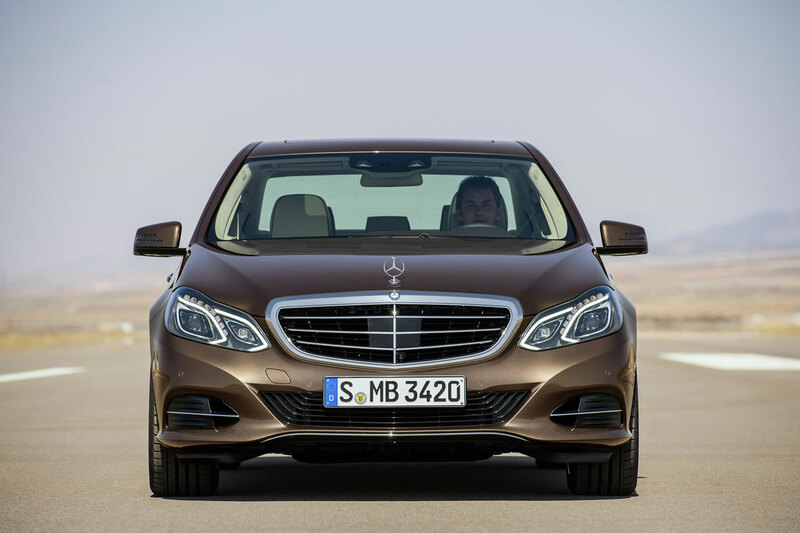 The Stereo Multi-Purpose Camera, borrowed from the coming S-Class, mounted on the front windshield near the rearview mirror is able to build a three-dimensional view of what’s ahead at a distance of up to 1,650 feet. The systems serve to detect the speed and position of vehicles in front and those crossing, and can detect pedestrians. When we talk about interior of the car, the main differences include additional wood trim on the dash (in two finishes) and a revised instrument cluster. 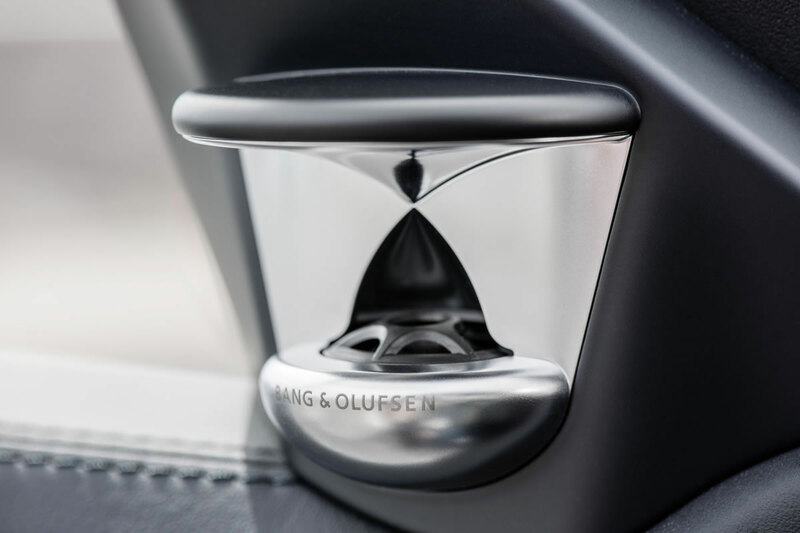 The central air vents have been redesigned to make room for a rectangular analog clock. Above the clock and central air vents is the standard 7-inch high-resolution display. 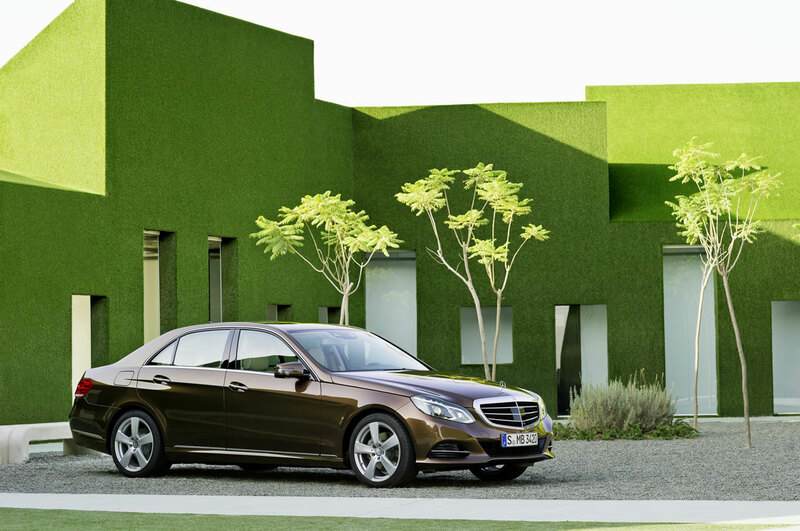 Also included on every 2014 E-Class is the color instrument cluster display. 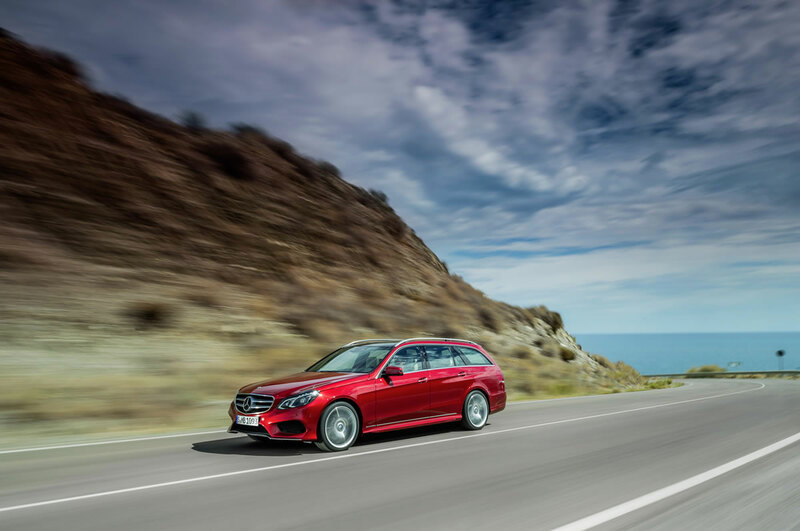 Mercedes Beny E-class will be available with a choice of E250 Bluetec turbodiesel I-4, E350 V-6, E400 V-6 hybrid, E550, and E63 AMG, all with standard engine stop-start technology. 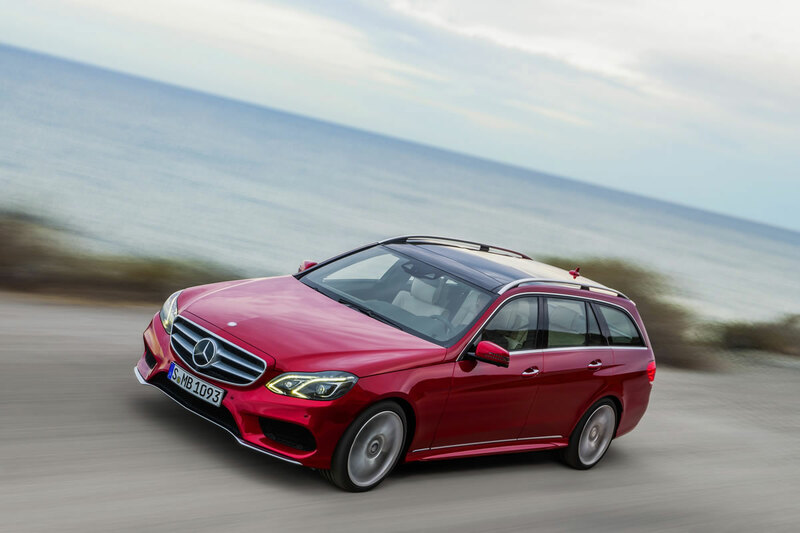 2014 Mercedes Benz E-class Sedan and Wagon will go on sale in the United States in the Spring. Until then, we can only admire how it looks on these available pictures.